You can just about lock Essendon into the Good Friday fixture for 2020. The Bombers have added more expectation to an Anzac Day blockbuster after crunching North Melbourne at Marvel Stadium. A horror half was all it took to deflate North Melbourne. North Melbourne vs Essendon: Round 5 - Friday 19th April 2019, 4:20pm at Marvel Stadium. 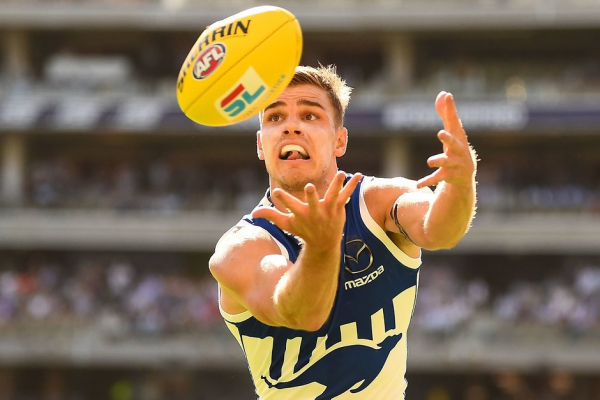 The post LIVE: North Melbourne vs Essendon – Round 5, 2019 appeared first on Zero Hanger. LATE MAIL: The Bombers have made a second late change for their Good Friday clash with North Melbourne at Marvel Stadium. The post FINAL TEAMS: North Melbourne vs Essendon appeared first on Zero Hanger. The spotlight will be on Avalon Airport Oval this weekend, when North’s VFL side takes part in a doubleheader. "I'm feeling as good as I ever have. I'm still learning and feel like I've still got improvement left in my game." Don't cry for Mason Wood and his injury-ravaged AFL career to date. The man himself isn't doing it. After a solid start with his new club, midfielder Aaron Hall claims he's about to get much better; literally. He's an unrestricted free agent at the end of the year, but Todd Goldstein isn't planning one going anywhere. There was a noticeable buzz at Arden St on Thursday morning ahead of the Kick for the Kids. Jarrad Waite, Dustin Fletcher, Matt Wilson and Johnny Ruffo will raise money for the Good Friday Appeal. There will be a host of fun activities for the whole family at this Friday’s Kick for the Kids.